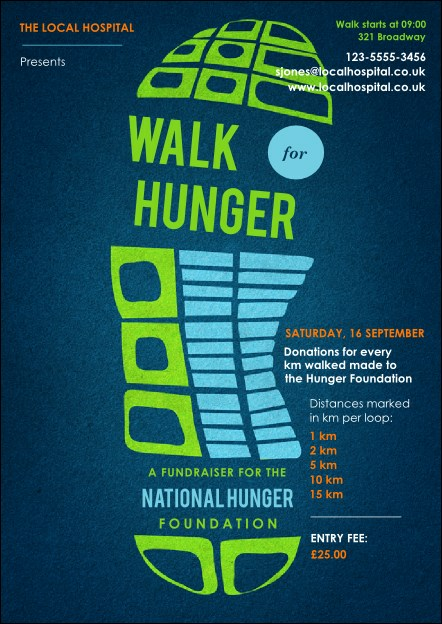 Add some sole to your next fundraiser when you send out the Walk Postcard in advance. The tread of an athletic sneaker stands out in bright green and blue on a beautiful navy background. Order a Matching Event Kit for coordinating posters, raffle tickets, and flyers!